A manufacturer of electronic signal processing equipment has made us aware of a similarly named product. As a courtesy, we are renaming this incredible pedal because we don't want to mistakenly be confused with them. For sale again soon. Hand Made Clean Overdrive and Boost Pedal. Big time tone. 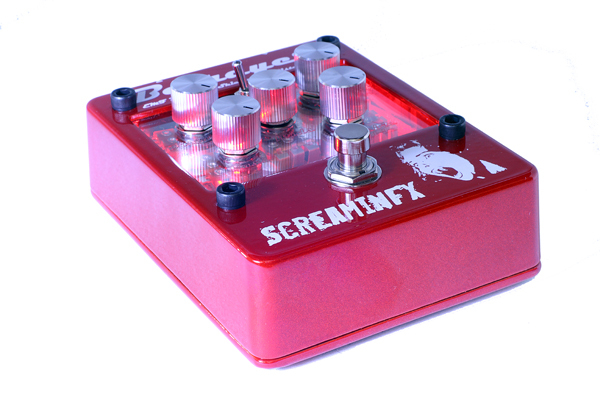 Simple Put this pedal right before your tube amplifier and your tone will sound bigger. 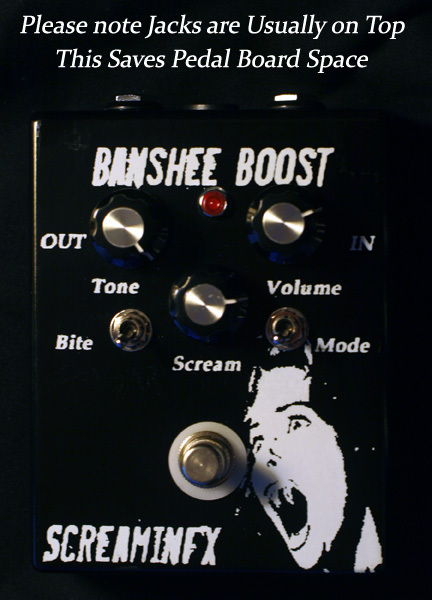 Clean boost or overdrive your tube amp. Killer for blues and rock. Dial in treble and give your guitar its bite back. 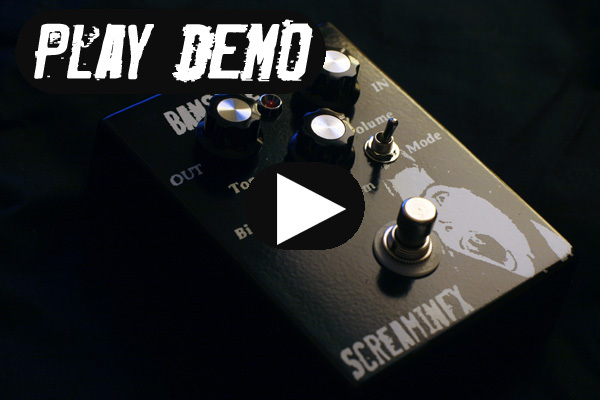 The handwired guitar pedal you didn't know you were missing. Show Sellout I always seem to sell many of these at the guitar shows. Once people hear them, they buy them. Really subtle pedal that fattens up your tone. Place it right before your amp and you will never turn it off. 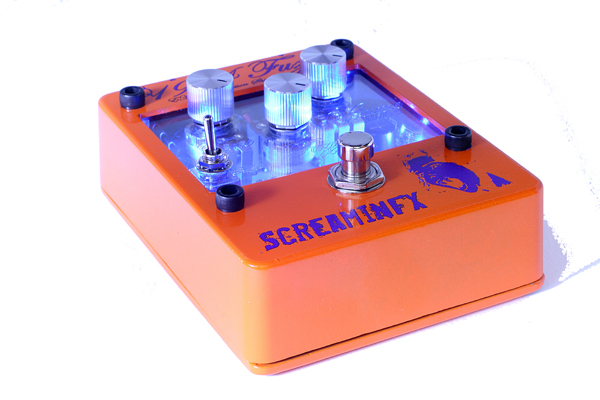 Not a Tube Screamer This pedal is more subtle. I designed it to be like a pickup. Finally, the testing and pedal tweeking is done! The pedal you didn't know you were missing! 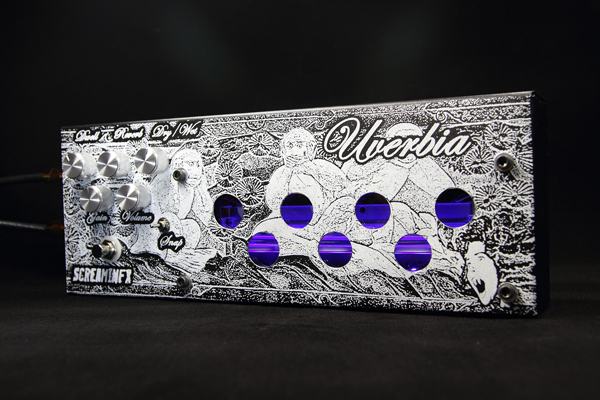 This is an insane pedal. I made a circuit up that would boost your sound and hit your tube front end. It adds just a little second order distortion which fattens up the tone. My favorite is watching people try this pedal out and seeing the smile on their face. 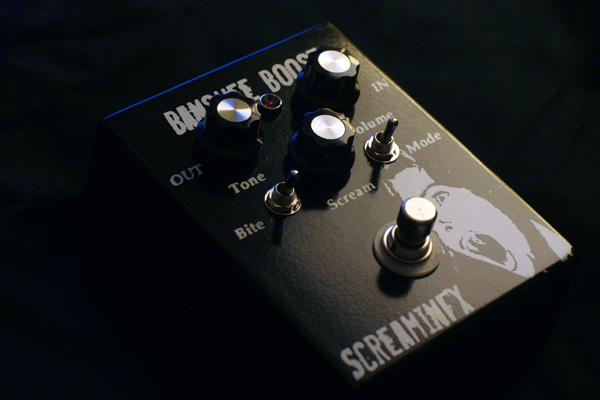 The This Boost, Overdrive and Tone Pedal - New name pending is completely handmade and designed to offer both a clean or distorted boost to your guitar level and sound. The small input of your guitar or previous stompbox can be greatly amplified allowing a boost and overdrive of your guitar amplifier. 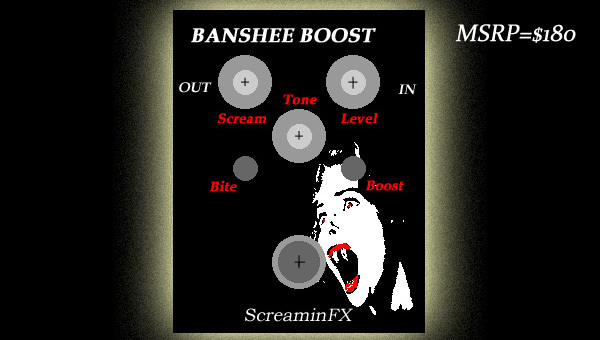 The difference between this and other boost or tube screamer type pedals is that a tone shaping passive circuit boosts the treble of your guitar to give a unique bite to your sound. The pedal absolutely enhances your tone for blues and rock music. It works especially well with all tube amplifiers. Holy cow, I can't stop playing this thing! It doesn't sound like a pedal, it just fills in the corners around my tone and makes it sound right. Genius. Andy from the Andy Schneider Show.